Academy Awards producers Donna Gigliotti and Glenn Weiss have been hearing the same question a lot recently: Are you OK? It's an understandable query. Producing the Oscars is guaranteed to be a stressful job, but the road to the 91st Academy Awards, which will take place on Sunday, has been unusually bumpy, and public. "We're good! We're good!" Gigliotti said while laughing Thursday afternoon. "Did we look like cadavers yesterday?" Both have been working out of the Dolby Theatre, where hundreds of people are making sure everything is ready by Sunday night when the show airs live in more than 225 countries and territories. But beyond the physical preparation, in the months leading up to the renowned show they and the Academy of Motion Picture Arts and Sciences have been under immense scrutiny from the public and even peers for basically everything : The choice of a host, the choice to go host-less, the plan for which songs would be included in the broadcast and which awards categories would be aired live. Even the announcement that Queen and Adam Lambert would open the show was met with snark and sarcasm from some: They were worried about the excess time it would take for the cinematography winner to get to the stage and now there's going to be a potentially six-plus-minute Queen performance of a song that isn't even nominated? Oh, and they're also on the hook to save the show from declining ratings (last year's hit a record low of 26.5 million people, down 20 percent from the previous year) and keep the ABC broadcast to a trim three hours. No pressure, right? Oscars: A Record Year for Women, But Is It Progress? But Gigliotti and Weiss, who is also directing the show, aren't sweating. "I think that the show is in very good shape," Gigliotti said. "We feel good about the way it is flowing, looking (and) our presenters." The film academy has announced a massive roster of celebrity talent that will be joining the show: Barbra Streisand, Michael B. Jordan, Tina Fey, Charlize Theron and Michael Keaton are just a few of the confirmed presenters. They're also bringing out well-known figures from outside the film world, like Serena Williams, Congressman John Lewis and chef Jose Andres to help present some of the best picture nominees. One thing that's given them confidence is how successful many of the eight best picture nominees have been this year. Conventional wisdom is that the more popular the nominated films are, the more viewers will tune in (one of the highest-rated years was when "Titanic" won). "(The nominations) kind of go to the heart of what we were trying to do with this show, which was put a spotlight on films with worldwide success that have had a cultural impact," Gigliotti said, noting "Black Panther," ''Bohemian Rhapsody," ''BlacKkKlansman" and "Green Book." Getting Queen to perform on the show was also something they said they discussed very early on. "We thought it was an exciting way to open the show with a lot of energy," Gigliotti said. 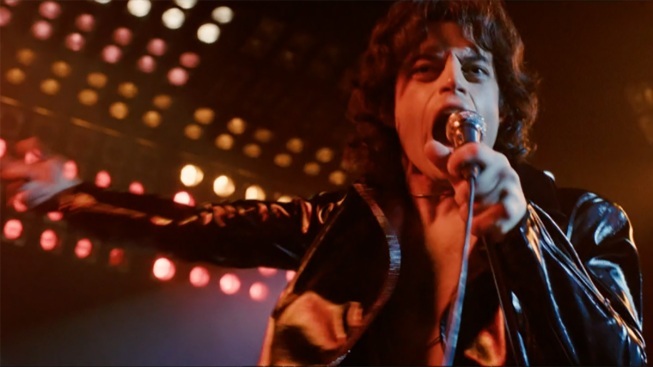 Also, "Bohemian Rhapsody" was a massive hit worldwide, earning over $100 million in Japan alone. It just made sense for a show hoping to attract a global audience. They aren't looking to set a host-free Oscars precedent, and say that big picture, not much has changed for their overall vision for the show. "As with any other show, moments change along the way," Weiss said. "But the big overlying arc of where we're going is pure to when we first met months ago." Winners are still going to have a 90-second clock running from the time their name is called to the time the orchestra is signaled to start playing them off, but Gigliotti says that they'll make judgment calls if something extraordinary is happening on stage that lasts a bit longer. Weiss said there's a misnomer that they want to cut people off. "Nobody wants to do it," he said. "Our job, make no mistake about it, is to honor them, not antagonize them. We hope that everybody works toward that same end." And also to try to let an east coast audience go to bed by 11 p.m. knowing what the best picture winner is. They've been aware of the chatter on social media, but say they're not ruffled by it. "Everybody's got an opinion," Gigliotti said. "It's interesting. You sort of listen to people. But my doorman, I tell you, he's got an opinion. And he thinks it's a good thing that we're going without a host." As for what a successful show will look like, Weiss confidently said, "Watch Sunday night." After the show is finished, Gigliotti has offered to help plan Weiss' honeymoon (the two live three blocks away from one another in New York). Weiss famously proposed to his girlfriend at the Emmys last year while accepting an award — which, incidentally, clocked in at nearly three minutes and was also easily the most memorable moment of the show — but hasn't had time to focus on much but the Oscars. "You're not the only woman in my life who thinks that," Weiss joked.